If you like your plants to be a little unusual, then you will propably love this. 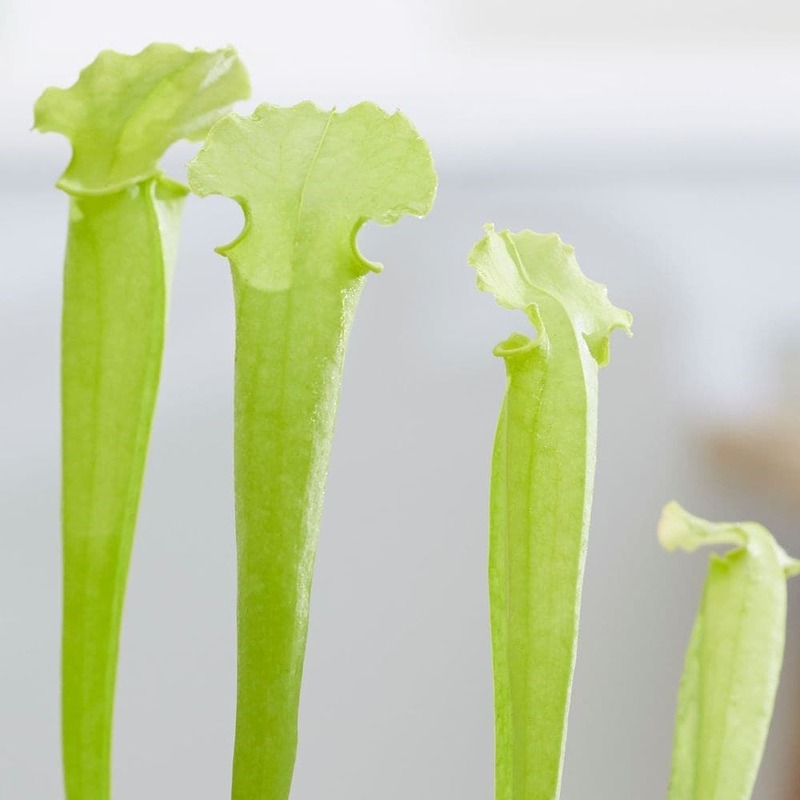 It is a carnivorous plant, that produces tall 'stems' that are topped with lidded pitchers that secrete nectar that attracts insects. Unfortunately this is bad news for the insects though, as the plant then goes on to digest their remains - it's their clever way of topping up their nutrients. These are curious and exotic-looking plants that can be grown outside in milder regions. Please note that the pot in the photograph is not supplied with the plant (which is sent out in a black plastic pot). They do however make excellent potted plants, and if you wish to pot yours up, we do have a wide range of pots on our website to choose from. 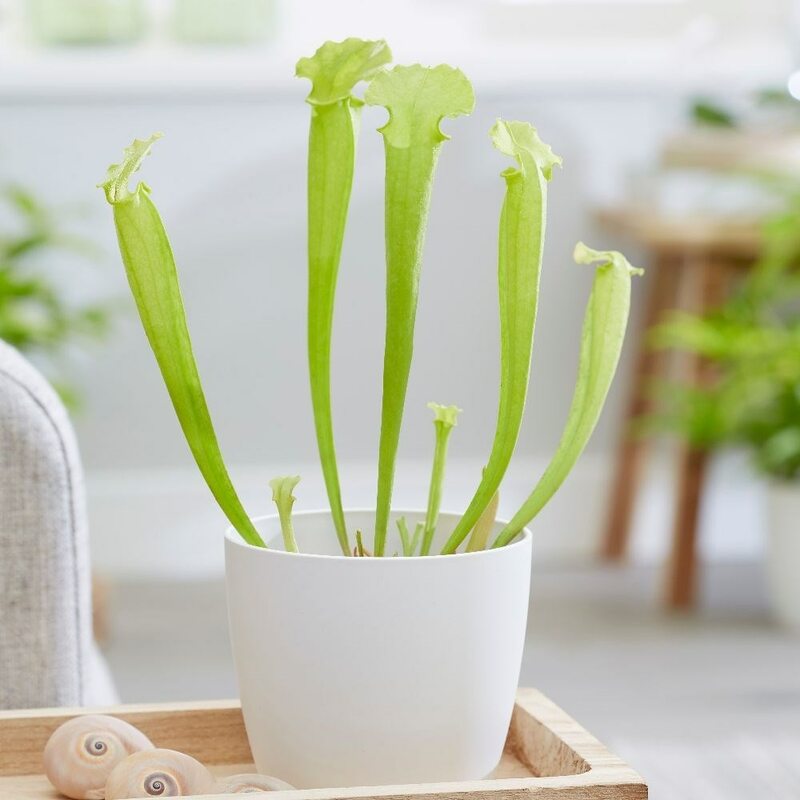 Home care: This carnivorous plant should be watered from below during the growing season. The easiest way to do this is to stand the pot in a saucer that is filled with 1cm of soft water. Ideally the pot and water-filled saucer should be kept on a tray of gravel as this will help keep the humidity high. When the plant is dormant, water only when the compost gets dry, making sure the excess can drain away freely. Pot on in spring using a specialist compost.